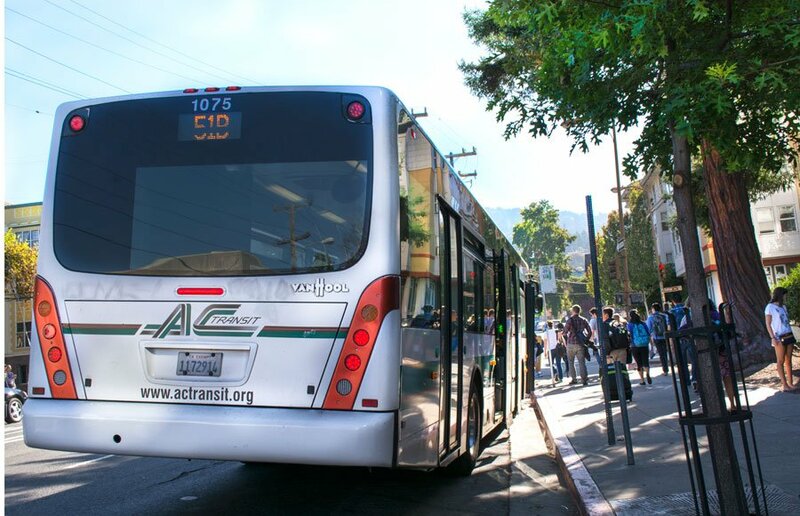 As UC Berkeley students, there’s no doubt that the AC Transit bus system is an important form of transportation, whether it’s for getting groceries, traveling out of the city for a break from studying or even just getting from one far side of campus to the other. Along with the wide variety of different bus lines to take, there’s also quite a variety of the types of bus drivers you’ll meet. That’s why we at the Clog are here today to share all about the different types of bus drivers you’ll probably encounter during your years here in Berkeley. Beware of the grumpy driver. One wrong move and you’ll get chewed out like a piece of gum in no time. You’ll have to know exactly which stop you want to get off at, because this bus driver won’t be able to help. It might be their first time driving the route, or maybe they’re just filling in for another driver. In any case, you’re going to end up lost unless you know exactly how to navigate the bus system. This kind of driver is the best. They’ll greet you nicely as soon as you board the bus and will stop for you when you’re clearly scrambling to catch the bus you almost missed. This driver is the social kind and they’ve got a flood of words coming out of their mouth. You’ll probably feel exhausted just by the sheer amount of processing you’ll have to do while listening to them talk on and on. You’ll see this driver constantly look into all three of his rear view mirrors. If you happen to meet eyes with the driver in the same mirror, well … it might be a bit of an awkward moment. You’ll see this bus driver yawning and yawning — as you grow more and more anxious. If you happen to find yourself on the bus with one of these types of drivers, you’ll probably want to get off and try to catch the next bus — hopefully with a friendly driver. More often than not, if you let the bus driver know that you’ve missed your stop right as they’re about to pull up to the next stop, you’ll have an annoyed bus driver on your hands. There you have it, Bears! These are the types of drivers we encounter on a daily basis, but to be honest, we’re just happy they help us get to where we need to get. Contact Judy Shan at [email protected]. The Daily Clog (Cal+Blog) accumulates various tidbits about Berkeley and college life. We focus on the UC campus, the city of Berkeley and Berkeley’s online community. We give our two cents on all the goings-on.